The buzz around the city shows no sign of ending if this ‘Gun Quarter’ student development is anything to go by. Stephen Giles, one of Birmingham's 'people with passion' and follower of all things construction brings you another construction update. 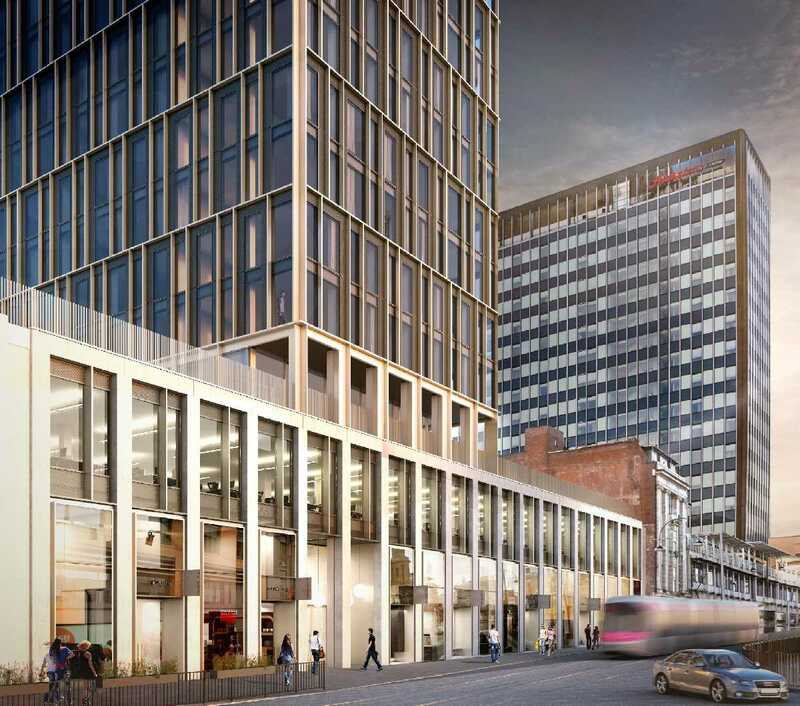 Birmingham is set to get another tall building. Developer Reuben & Morgan has teamed up with Mayfair Land and Estates to bring this exciting student development to an area actively undergoing major regeneration. 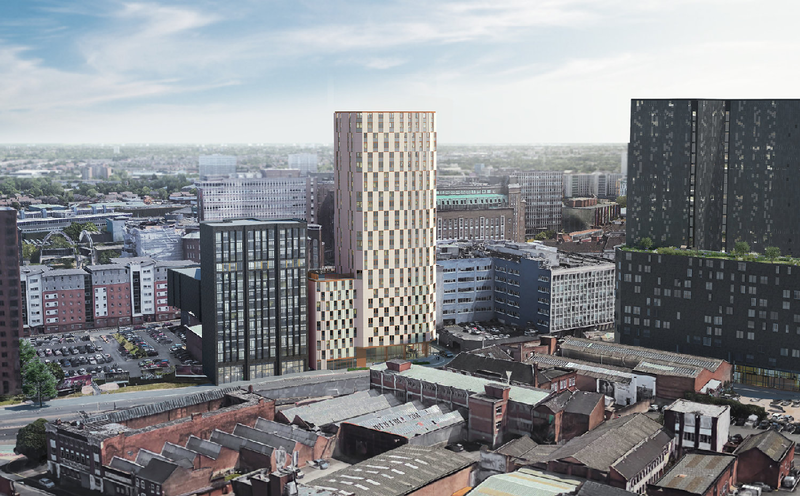 Standing at 24 storeys, on the corner of Lancaster Street and Lawson Street, near the ‘Learning Quarter’ of Eastside, this development will provide a total of 556 student bedrooms, comprising a total of 115 studios and 441 multi-bed apartments. With an eight-storey shoulder, the building will naturally integrate with the surrounding areas and provide active ground floor frontages where facilities will include a ground floor café, fitness studio, student hub areas, study spaces, outside terrace space, plus cycle storage for 82 cycles. 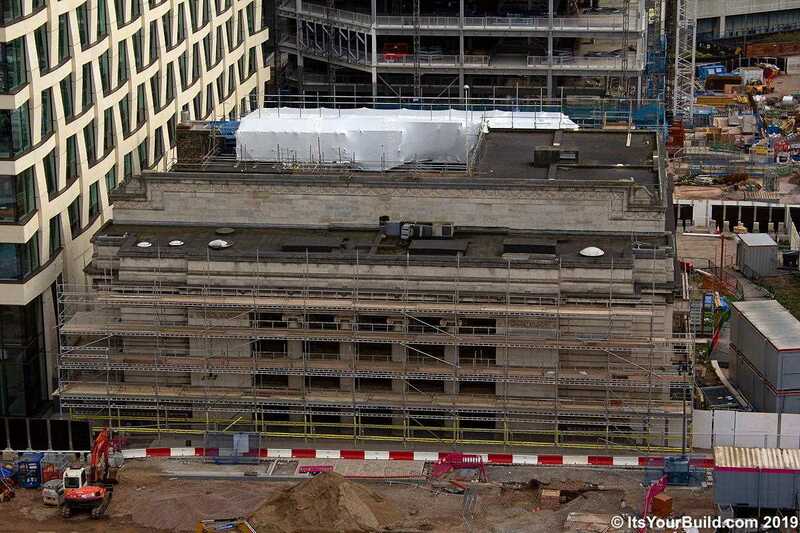 Future Generaton will be the student housing occupier, whilst DCSK are the architects behind the scheme. 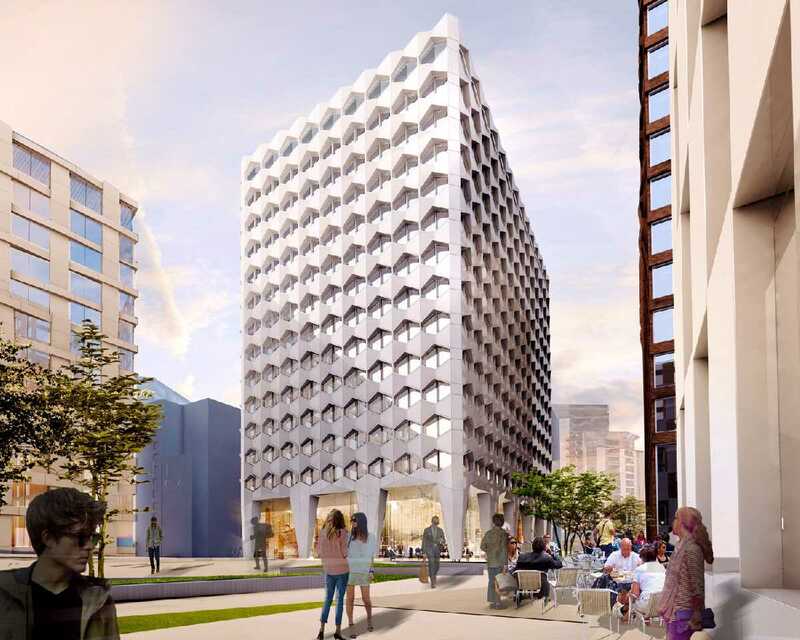 They have designed a structural skin so that we will see an alternating pattern of solid pre-cast concrete panels and glazed openings wrap entirely around the building. These panels will incorporate a light warm hue to contrast to the darkness of nearby developments. Sitting on the corner plot, the building will go a very long way to defining the area with this gateway entrance, and in the process, create a nice rhythm of mid-size buildings as you enter the city centre. Plans were approved in the first week of January 2019 by the Planning Committee at Birmingham City Council. The next phase of works will see the eventual demolition of buildings on site, before construction can commence. For posts, a gallery and links on this build, connect here. 09 Apr 2019 - Stephen Giles Did you know? A 200-metre running track on a building? Pull the other one! That's right! 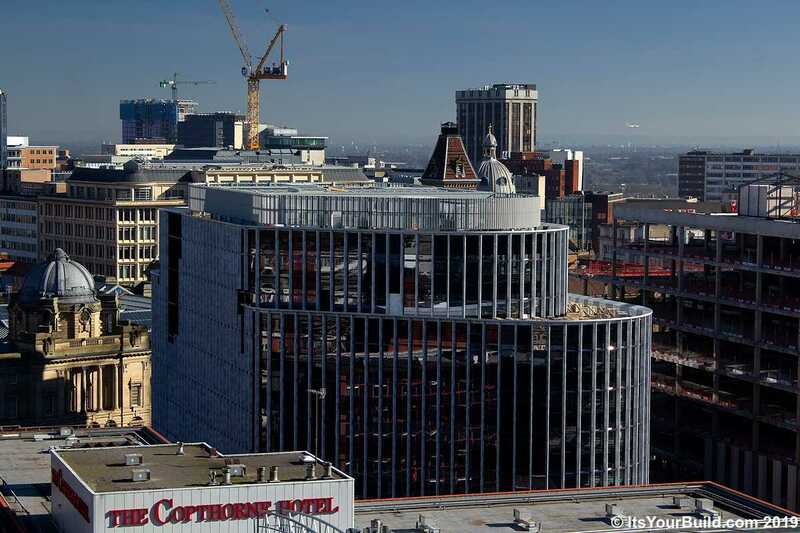 A 200-metre outdoor running track, the UK’s first in a residential building, is amongst the many quirky amenities planned for the 42-storey MODA Tower being built on Broad Street in Birmingham. Stephen Giles, one of Birmingham's 'people with passion' and follower of all things construction asks: Why? It’s all about moving with the times. Nowadays, the city centre apartment experience is seen as becoming much more about lifestyle, rather than just living space. It's now about creating a product tailored around lifestyle which in turn focuses heavily on brand and the amenities the building provides. 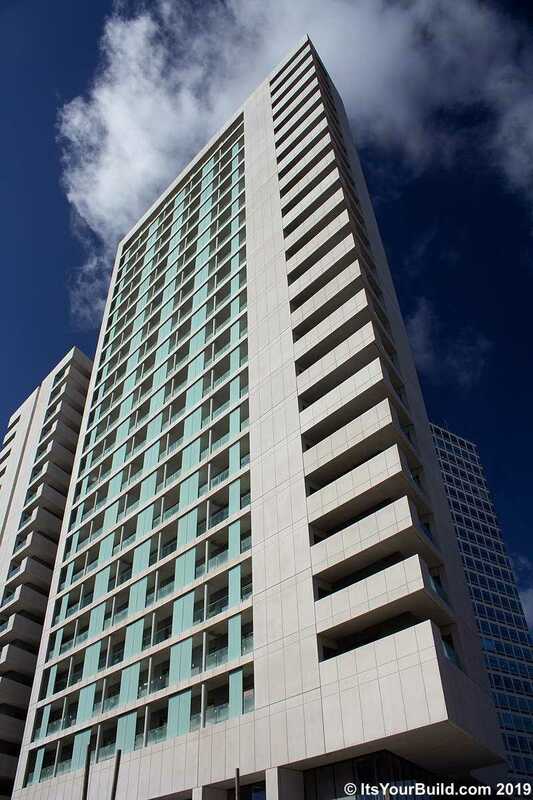 Moda Group, are a leading rental lifestyle brand and are behind 2one2 Broad Street. Their aim is to create an integrated, sustainable amd diverse community and revolutionise the whole living experience by making it a thoroughly enriched one for its residents. This makes sense because people, if they can get it, want luxury, ease, comfort and convienence at their disposal. So, developers, such as Moda, are actively promoting their healthy urban living movement as a way to entice new residents, and with a society fixated with wellness and healthy living, it certainly holds an attractive, long-term appeal for today’s fitness-mad generation. 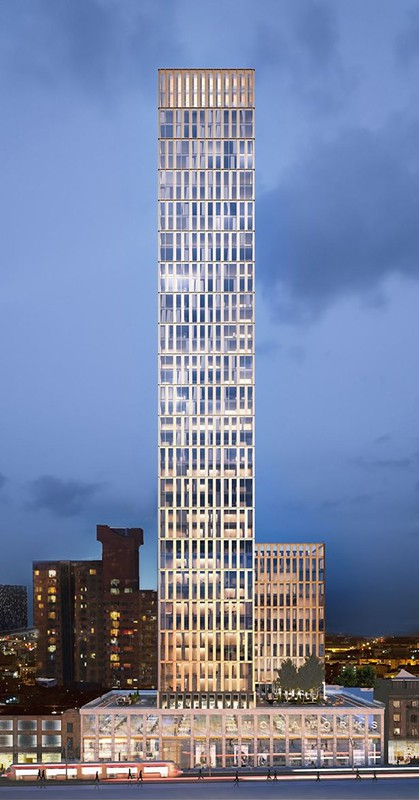 Once complete, 42-storey, ‘2one2 Broad Street’, billed as a “vertical village” will contain 481 apartments (from studios to three bedrooms) and will boast an internal environment second to none. Residents will have access to over 30,000 square foot of communal space in which to socialise and unwind, with 24-hour concierge service, terraces, gym, cycle hub, outdoor BBQ & cinema space, a dining club plus health and wellness zones, where support services are readily available for residents’ physical and emotional wellbeing. Then there's a 200-metre outdoor running track on the roof of the podium – a UK first in a residential building, and one that should go down a storm with today’s fitness fantatics - all without having to leave the complex. Providing high quality housing with well-designed amenity spaces, from workspace to personal wellbeing, complete with a mix of community and top-notch service certainly offers wide appeal for people seeking a new place to live. The bar is certainly being raised higher in Birmingham and its residents will soon reap the rewards. 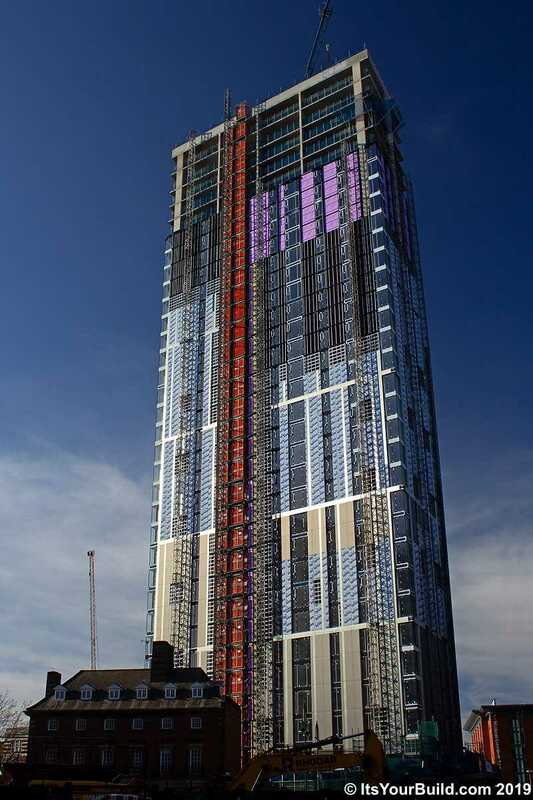 To see more images and information about Moda Tower, click here. Take the full post for full details of Moda Tower (2one2 Broad Street), Birmingham, UK. Connect here to see coverage of project. Arena Central, Map of the site, a huge 1.2m sq ft development, is set to make a major contribution to Birmingham's standing as one of the world's great cities. But the future of Arena Central has not always been so rosy as Stephen explains in this great post. 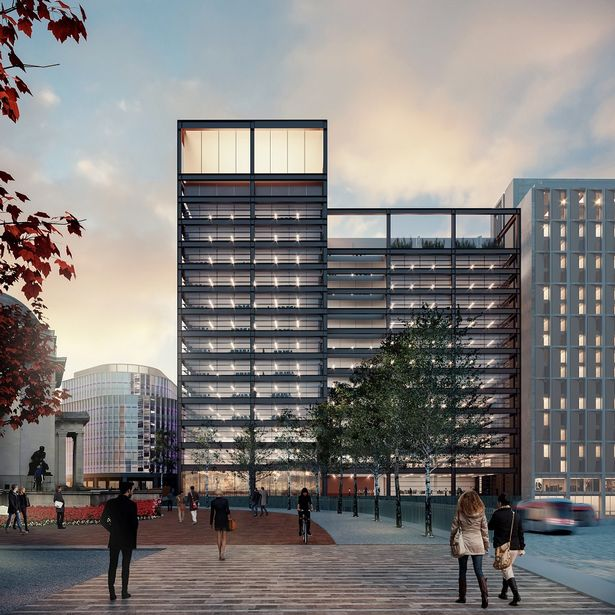 Sat on the site of the old ATV Studios, Arena Central represents 1.2 million square foot of mixed-use development and forms an integral part of Birmingham City Council's Big City Plan, as well as having a prime position within the city centre enterprise zone. The area is flourishing at long last, but this wasn't always the case. The site has seen two major projects over the last 15 years, all of which have been cancelled, thanks mainly to a combination of planning wrangles and the economic downturn. 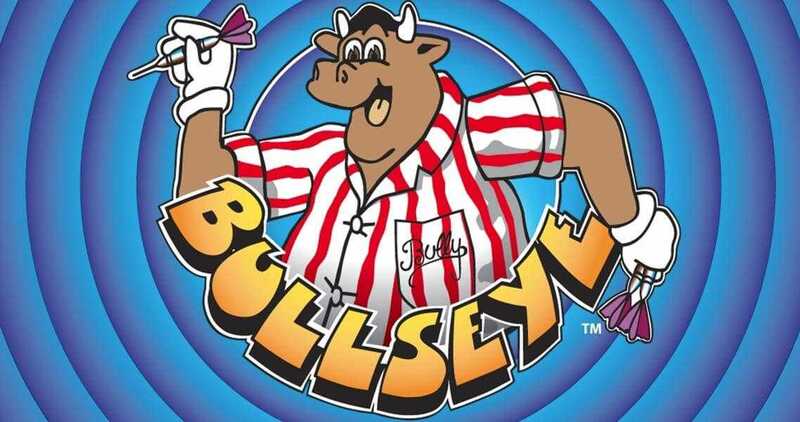 Before the ‘Arena Central’ name was coined though, the site was the place where "You can’t beat a bit of Bully” and 'Let's have a look at what you could have won.' – where the prizes of these TV game shows invariably involved a speedboat. Not very practical if you lived in Chelmsley Wood, say. Birmingham’s ATV studios were famous for the production of a plethora of well-known shows, including, yes, that show Bullseye, but also Tiswas, The Golden Shot, New Faces, Spitting Image, Blockbusters, Crossroads, plus regional news programme ATV Today. In the late 1960’s, encouraged by Birmingham City Council’s proactive approach to modern developments, ATV set up its' new studios in the city. Princess Alexandra opened the Centre in 1970 and it was billed as the most advanced television production facility in Europe, in readiness for the upcoming colour television revolution. Fast forward twenty-seven years through the wonderment of ATV programming, it was decided that Central would close its doors in 1997 and move its operations to smaller studios on nearby Gas Street. 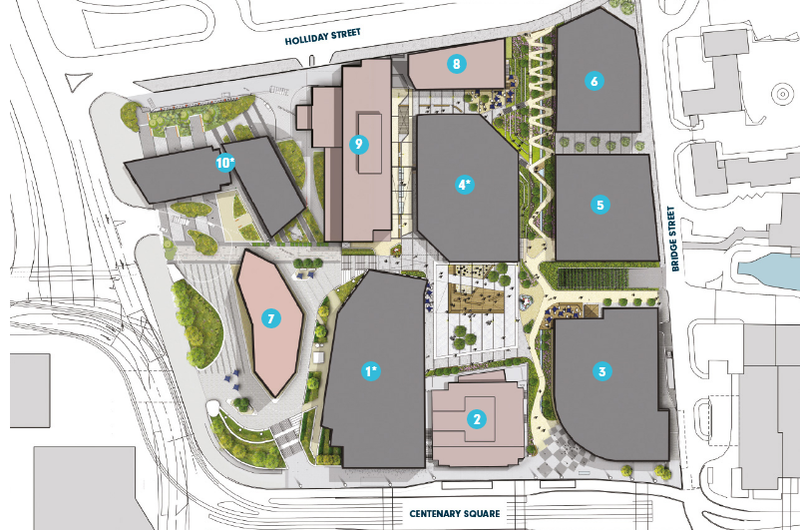 Plans for Arena Central were drawn up by Miller Developments and Hampton Trust. In 1998, HOK proposed the construction of a 187m, 50 storey landmark residential, hotel and office tower. The building incorporated a spire, which took the height of the building to 245m and would have made it the biggest building in the country and one of the tallest skyscrapers in Europe at the time. Of course, this scheme never materialised, as it was beset with problems from the outset. Deputy Prime Minister John Prescott wanted it to be scaled down. Amendments were duly made. Then came the New York City terrorist attacks in 2001, when fears arose that the tower could be a target itself. Part owners of the project Hampton Trust - a small company in the grand scheme of things - pulled out and the Arena Central development went cold. Soon enough, Miller Developments acquired the site, with Bridgehouse Capital becoming Joint Venture partners later on in 2004, and the Arena Central Developments LLP company was created. 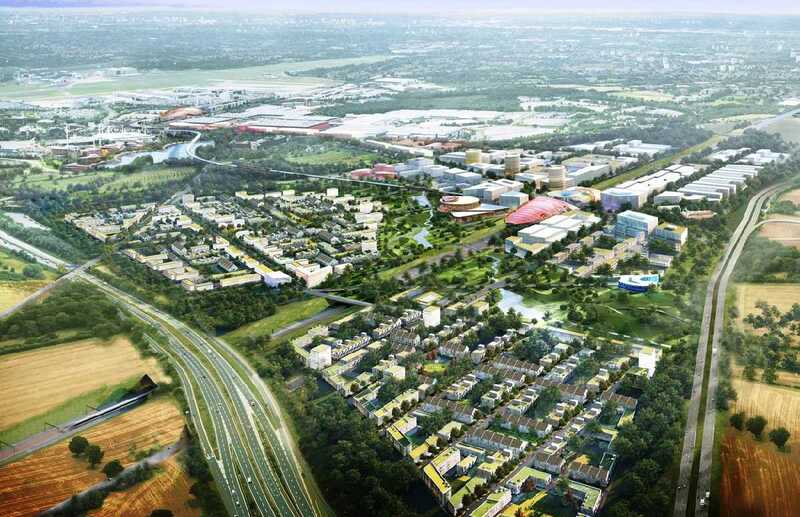 New masterplan designs were drawn up, with help from Australian mega developer Multiplex and the plans were given a glitzy unveiling at the property show, MIPIM, in 2007. This 50 storey tower from Dandara contained 706 apartments, three restauarants, a sky bar and a public viewing platform. It would have stood proud at 147m, with a facade overrun taking it to a more than a respectable 152m. Although down in height from HOK’s amended design, it was reported this was because Crowne Plaza had refused to move out of its current building because of a desire to refurbish their own home instead. The tower was approved in just two minutes by the Planning Department who labelled it a “stunning”. Construction was to begin in early 2008, with a targeted completion for 2013. Again, as luck would have it, any sort of progress was delayed again by the financial crisis of 2008. In 2012, activities picked up. The developers dusted themselves down and went full steam ahead and started getting planning consents, namely for a 250-roomed Holiday Inn Express Hotel. Demolition work commenced on all facets of the site and construction work on this 18 storey hotel began in earnest. Planning consent was then granted for the first office building on site. At 140,804 sq ft, 1 Arena Central (now 5 Centenary Square) was the first speculative office development proposed since the financial crisis. 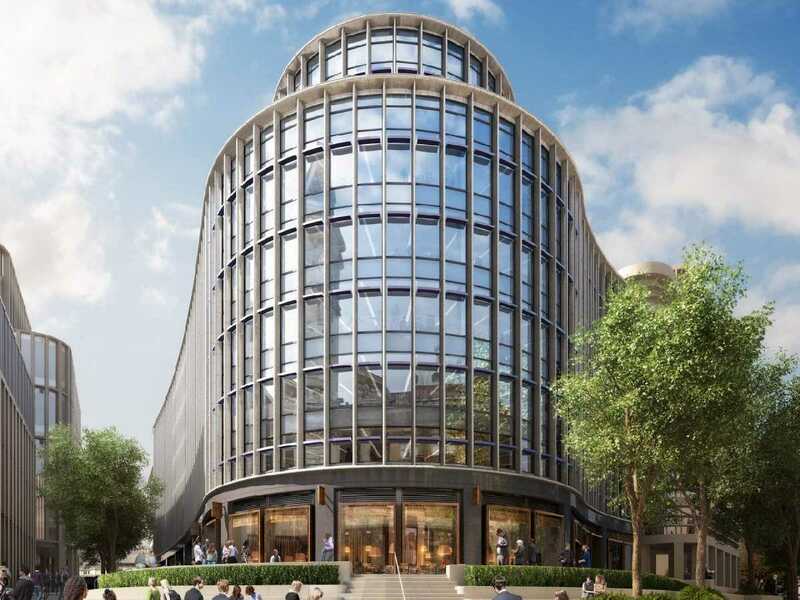 With an elegant curved façade and a modern chequerboard motif, it will eventually provide eight floors of HQ office space, alongside retail units on the ground floor. 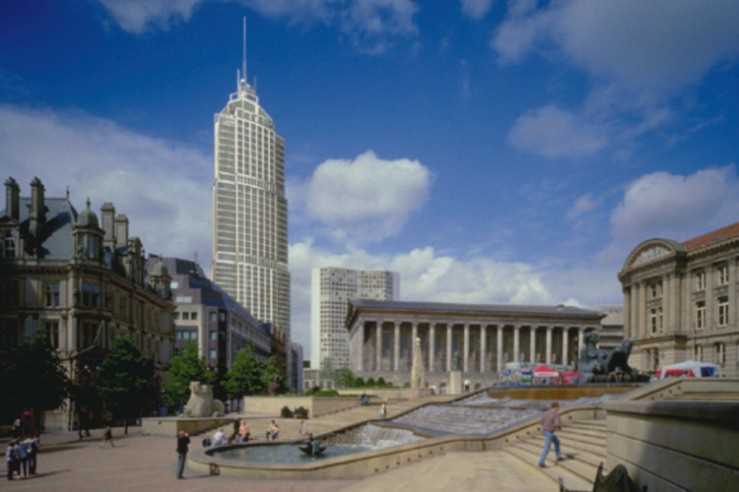 For the first time in the history of the scheme, it had momentum, and this was emphathised by the news that HSBC UK would move from London to the 'Second City' in a new 210,000 sq ft building called 1 Centenary Square on a 250 year lease to act as the head office of its new ring-fenced bank. 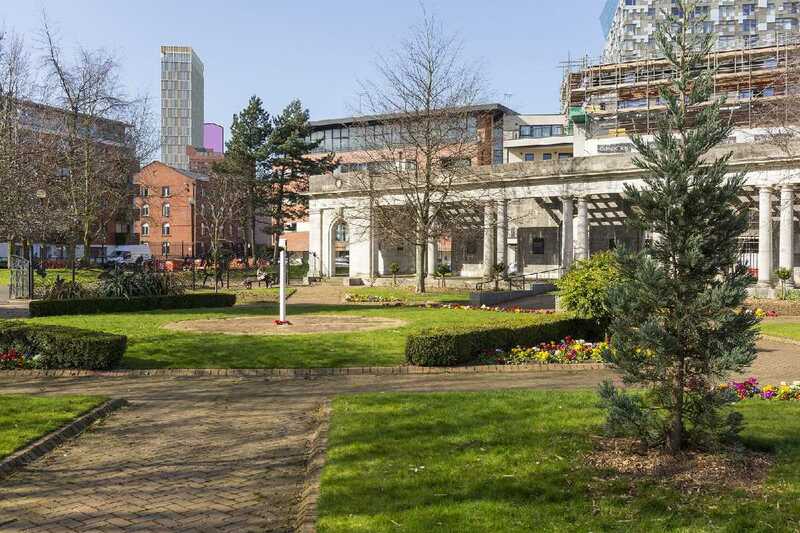 The deal was the largest property deal in Birmingham since 2002 and of course, this was a catalyst for others to relocate. The offices in this area continue to flow. The government selected Arena Central as its preferred location for Phase 1 of its Birmingham Hub (up to 1m sq.ft.) 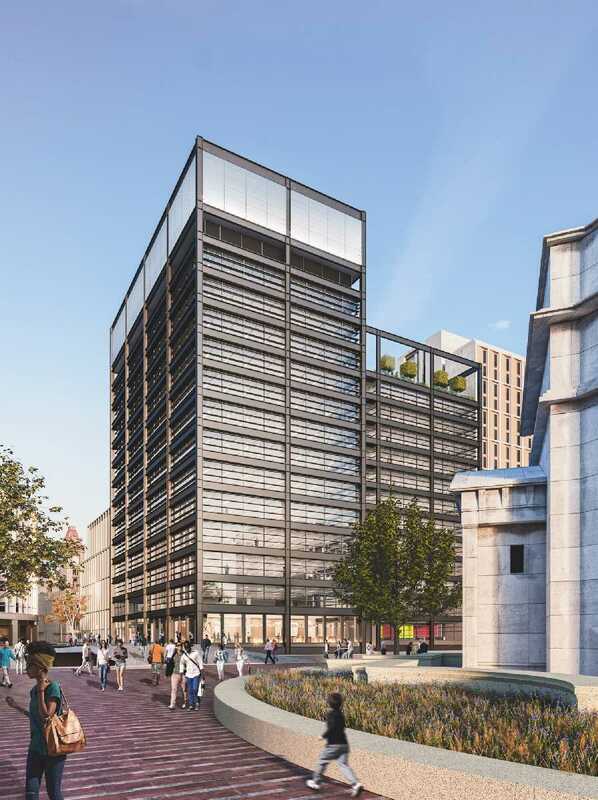 where HMRC will move into 3 Arena Central - a 13-storey, 240,000 sq ft office building currently under construction. Such is the confidence in the city, the development became the largest pre-let in Birmingham for over a decade. The building will house some 3,600 civil servants from a number of departments and will act as the Midlands regional hub for the company, on a 25 year lease. Birmingham City Council bought into Arena Central back in 2006 when it purchased the old Municipal Bank from Hampton Trust, giving them more of an influence on goings on. 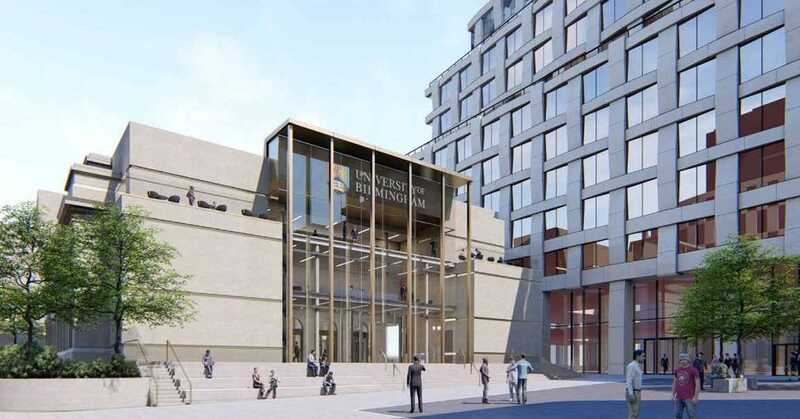 The University of Birmingham acquired the building from them last year, thus adding an extra dimension to the Arena Central masterplan. 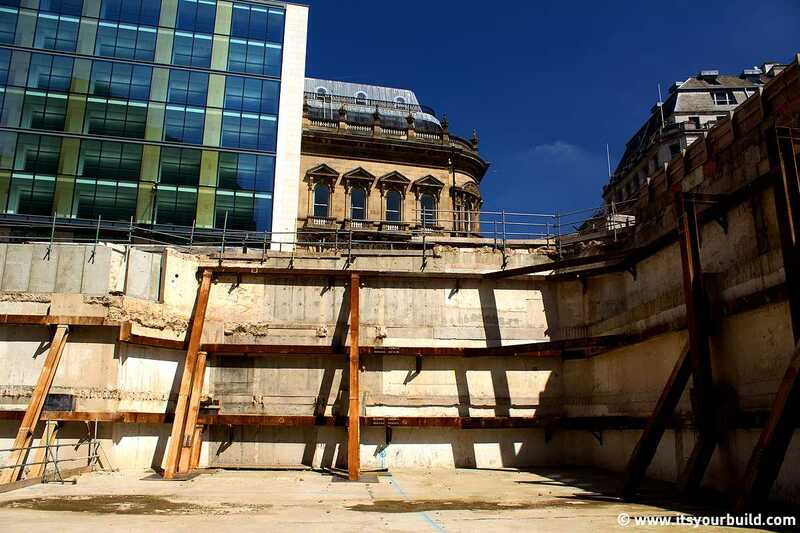 The building is currently undergoing works that will see it refurbished into a mixed-use scheme that will be adapted to accommodate a year-round public programme, with the old banking hall and vaults re-opened to the public with exhibitions, events, workshops, performances and the inclusion of a café. There will be a new south elevation to integrate the building into the Arena site. AND WHAT OF THE OLD 50 STOREY TOWER SITE? No grandeur, no skyscraper, no spire, but two L-shaped connecting blocks, reaching up to 23 storeys. 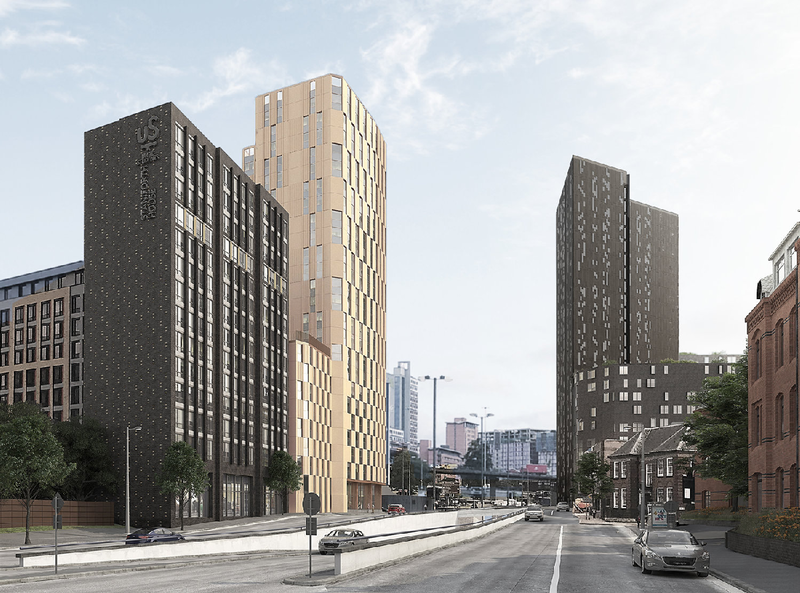 It is being developed by Dandara Living, has been designed by Hodder+Partners and will deliver 323 apartments, with a completion date set for May 2019. Development group Kier Property recently bought the rights from Miller Developments for a reported £30 million to build the remaining three phases and will also assume responsibility for the completion of 3 Arena Central. These plots will be developed over the next seven years. The future look bright for Arena Central! The future looks bright for Birmingham! 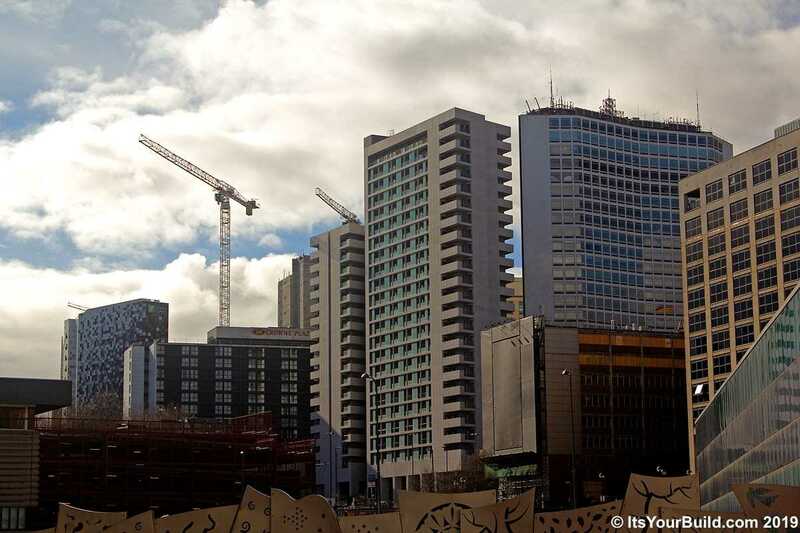 The Mayor of the West Midlands Andy Street launched £10bn worth of projects to international investors on the opening day of MIPIM (2019) – the annual conference for property professionals held in Cannes, France. Leading the delegation of the West Midlands Combined Authority (WMCA), Andy Street unveiled an Investment Prospectus consisting of 24 development opportunities from across the region that are seeking investment, many of which lie in Birmingham. The Prospectus, containing current investment opportunities and ones coming soon - will provide investors with the opportunity to make their mark on a booming city regularly named as the UK’s most investable for foreign investment and business start-ups, as voted by 500 of Europe’s top property experts. 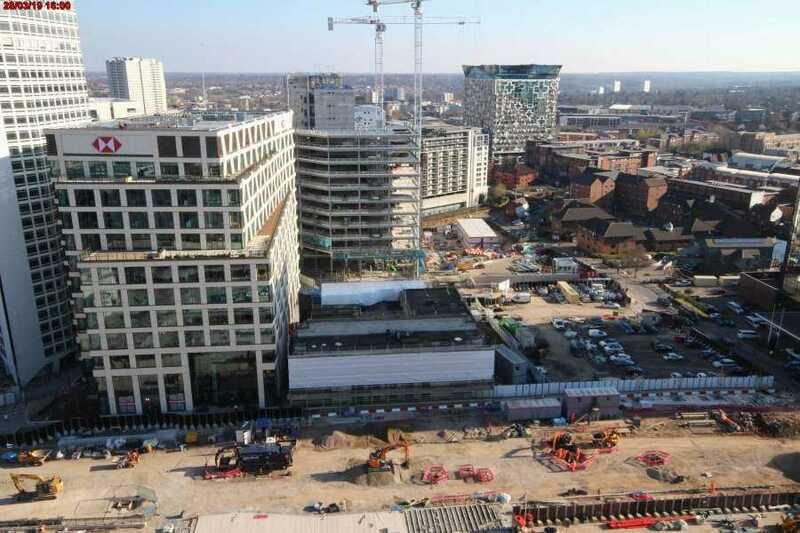 With a record number of developments underway and a healthy pipeline of projects on the horizon, Birmingham represents an attractive opportunity for investors all itching for the chance to deliver on some of the UKs biggest projects. 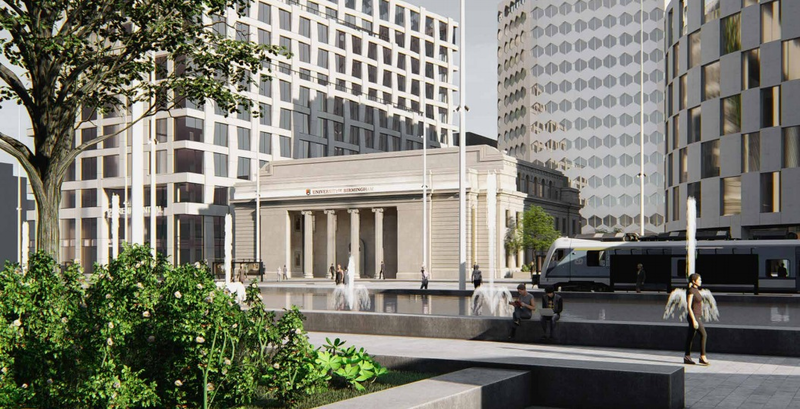 This Grimshaw Architects & WSP UK designed station will form Phase 1 of HS2, and will link central London with the Second City. It will also enter the history books as being the first intercity train station built since the 1800's. With preparatory works underway and a planning application for the station due soon, a £724m investment programme has been agreed with the Government that will not only create a spectacular new gateway station for Birmingham and its rail passengers, but be fully integrated into an extended Midland Metro Alliance tram network, as well as offering countless connections to the rest of the city and beyond. HS2 will ignite and accelerate the expansion of the city’s office core and unlock land around the Curzon Street regeneration area, with a number of growth opportunities for commercial and residential uses in the pipeline, with Birmingham City Council as promoter working with Homes England as well as landowners to identify land ripe for development. 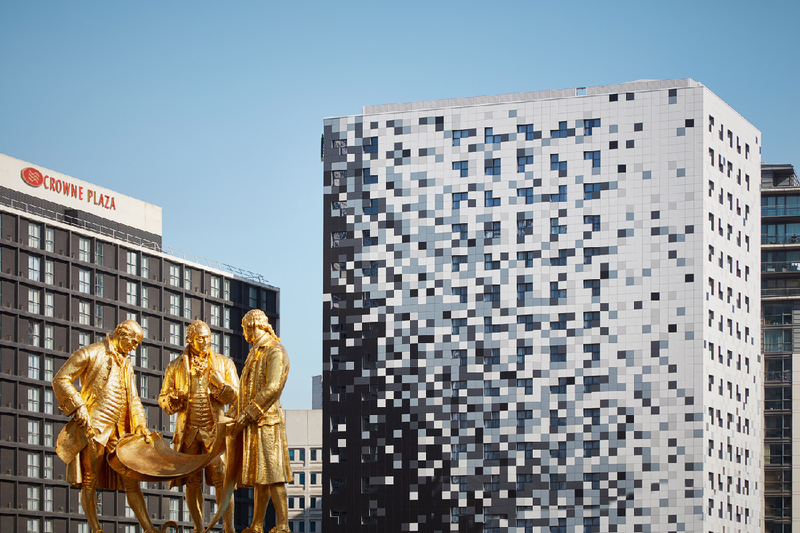 This £700 million Joint Venture is being led by Argent and Hermes and will deliver a high quality mixed-use development right in the cultural heartbeat of Birmingham. 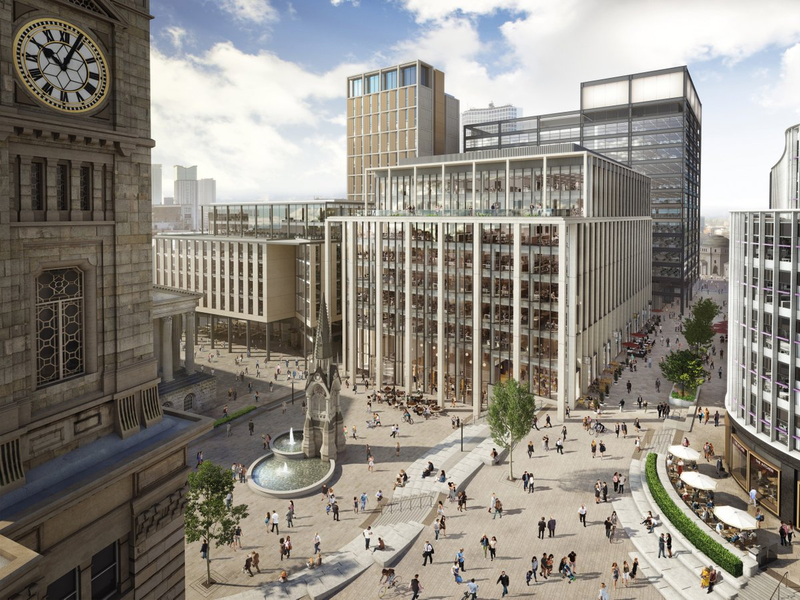 We will see ten new buildings totalling 1.8 million sq ft, including offices, bars and restaurant space, all around a new public realm complimenting its historic city centre setting. Phase One of ‘Paradise’ (two new buildings) will complete later this year. These include One and Two Chamberlain Square. One Chamberlain Square - an Eric Parry Architects designed building comprises 172,000 sq ft of offices and ground floor commercial space. PwC will move 1400 employees into the building later this year and it will become their signature Midlands HQ. There is also the potential growth for an extra thousand more employees if needs be. BAM Construction have been tasked with finishing the job that Carillion couldn’t. 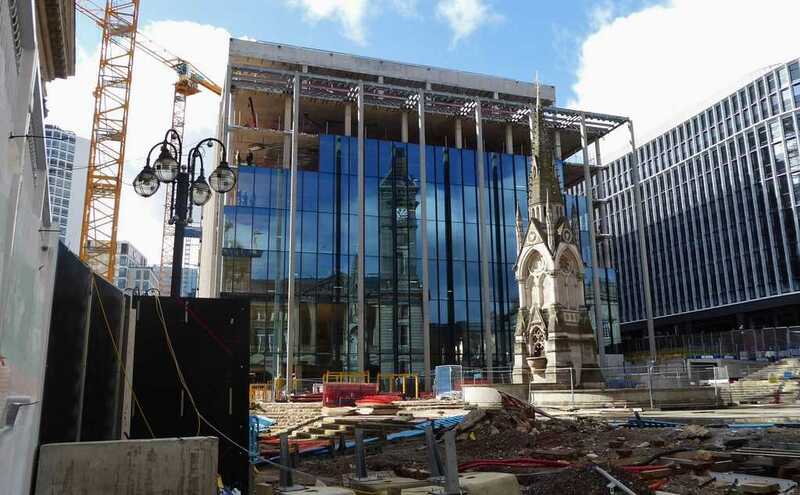 Two Chamberlain Square – Designed by Birmingham’s own Glenn Howells Architects. 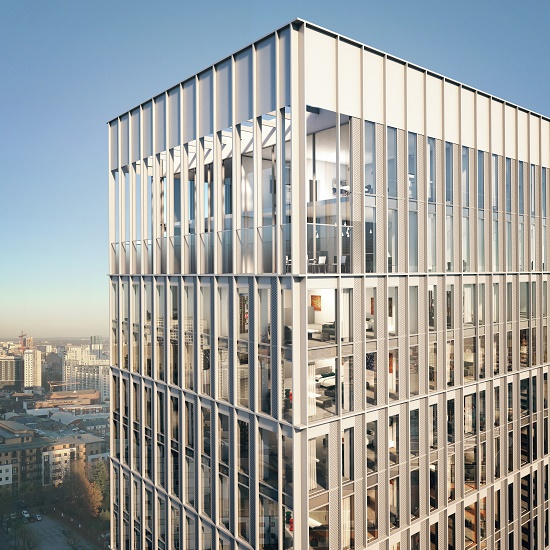 Standing at eight storeys, it is being speculatevly built and features 183,000 sq ft of offices with ground floor commercial space fronting onto a new public realm. A significant pre-let is not too far away from being announced here. It is also being built by BAM Construction. 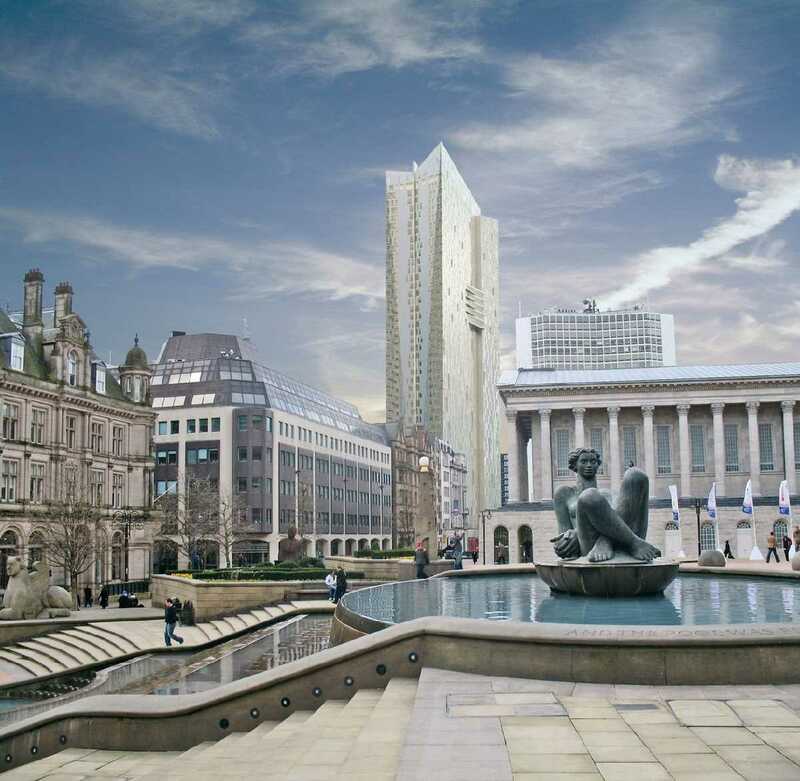 Phase 2 of Paradise includes the 13-storey One Centenary Way, another Glenn Howells Architects design and faces onto Centenary Square. This has been approved, funding has been secured and construction will get underway imminently. 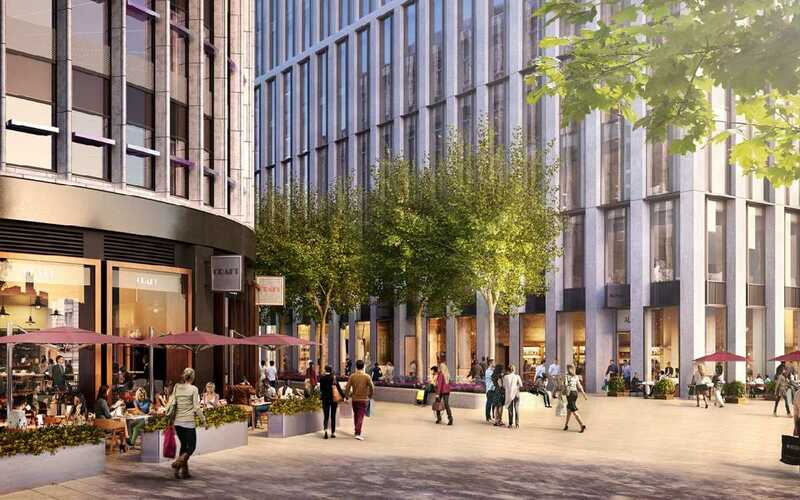 The building will be speculatevely built, such is the confidence in Birmingham these days and will feature 280,000 sq ft of office space, with shops and restaurants at ground and upper ground level. It will also feature the city’s first major Cycle Hub, with bike hire. 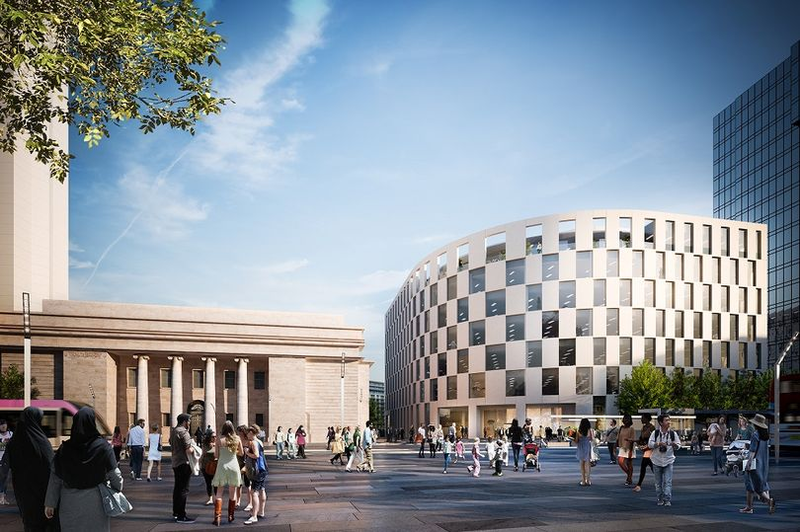 Also due in Phase 2 is a new 4 star hotel with approximately 250 bedrooms; and Three Chamberlain Square, offering more Grade A Offices, retail space and a new square. These can be seen below, but they are indicative images. Formal planning applications on these buildings have yet to be released. Phase 3 has outline planning permission to deliver a further five buildings and a new large public square and will follow in the same vein as Phases 1 & 2. UKCentral, or 'The Hub' is a 20 year growth plan on an area of land in Solihull, just off Junction 6 of the M42 motorway. 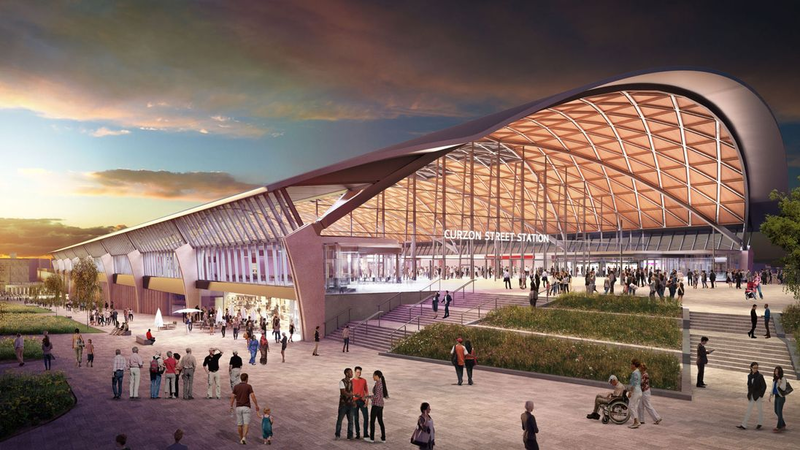 It is home to Birmingham Airport; the National Exhibition Centre (NEC); Birmingham International Station; Birmingham Business Park; Jaguar Land Rover; and the Arden Cross development site which will be the location of the HS2 Interchange Station from 2026. The Urban Growth Company (a vehicle formed by Solihull Metropolitan Borough Council and supported by WMCA and GBSLEP) is partnering with West Midlands Combined Authority to maximise the opportunities with the arrival of HS2 in 2026 and are working with HS2 Ltd to link planned and existing local and regional transport to HS2, which will deliver £1.6 bn worth of infrastructure investment, with the potential to deliver up to 77,000 new jobs, 775,000 sq ft of commercial space & an urban quarter of up to 5000 new homes, with HS2 Interchange Station (below) at its heart. HS2 Interchange will be the first stop outside London in 2026 and will bring together a fully-integrated and seamless transport exchange at a newly transformed Birmingham International Station (see below) – bringing together the NEC, future NEC City, airport, road, trams, plus the rail network that will see it become an international gateway by 2025. Investors are being given the opportunity to support these plans by becoming long-term equity investors, large scale development funders and partners. 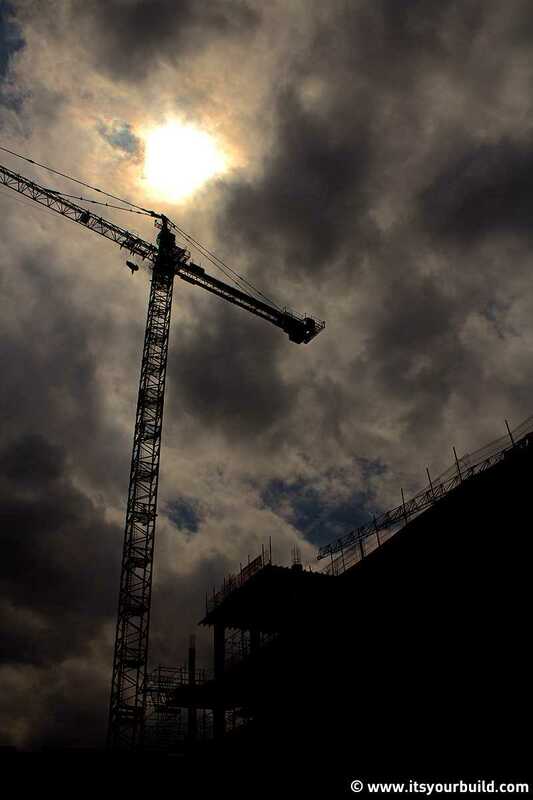 All this will significantly contribute to growth and deliver thousands of new homes and jobs, as well as new commercial and leisure facilities and unrivalled connectivity that Birmingham and the surrounding areas has to offer. Street said: “We are building the future and there’s never been a better time to invest in the West Midlands. We have a diverse, resilient economy, one of the youngest and fastest growing populations in Europe, great quality of life, unrivalled connectivity, brilliant centres of learning, and world-class businesses, large and small. “This provides us with a once-in-a-generation opportunity to drive inclusive growth across the region that benefits all our communities. “This £10bn investment prospectus demonstrates the strength of our offer and the boldness of our vision. We are the most promising place to invest in the UK – and, like all good businesses, we have a plan and are delivering it." 12 Mar 2019 - Stephen Giles Did you know? Tallest buildings across Birmingham - now and in the future! I am Stephen Giles, a member of the ItsYourBuild community and follower of all things construction. 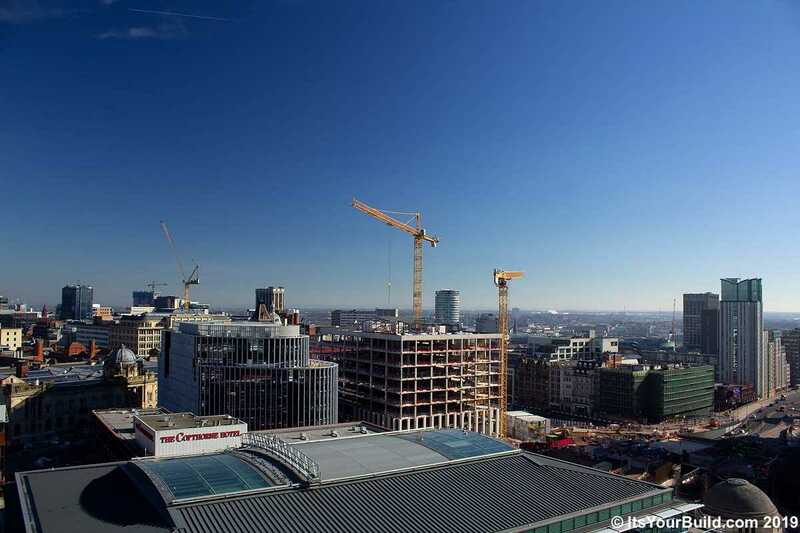 Here I look at how Birmingham is 'reaching for the skies'. I am delighted to include some stunning photography from Daniel, another member of the passionate and growing ItsYourBuild community in Birmingham. Take a leisurely stroll around this flourishing city of ours and you'll never be too far away from a development under construction, anchored by a colourful 'dancing crane hypnotically towering above'. 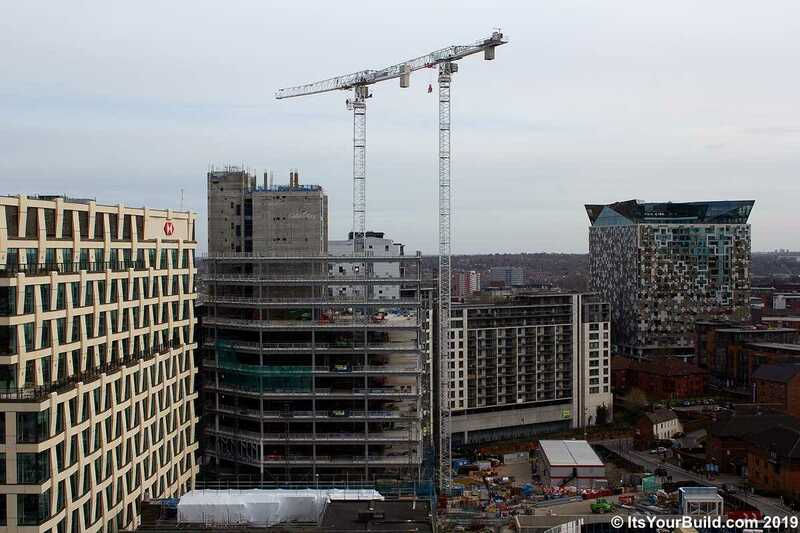 The city continues to reach new heights, with developer and investor confidence in Birmingham at an all time high. This is all culminating in record levels of construction, investment and redevelopment across the UK's ‘Second City’. We are clearly in an unprecedented time of growth which the city has not seen in many a generation. Another exciting chapter awaits in the evolution of this remarkable city. BUT FOR NOW LET'S TALK TALL BUILDINGS! 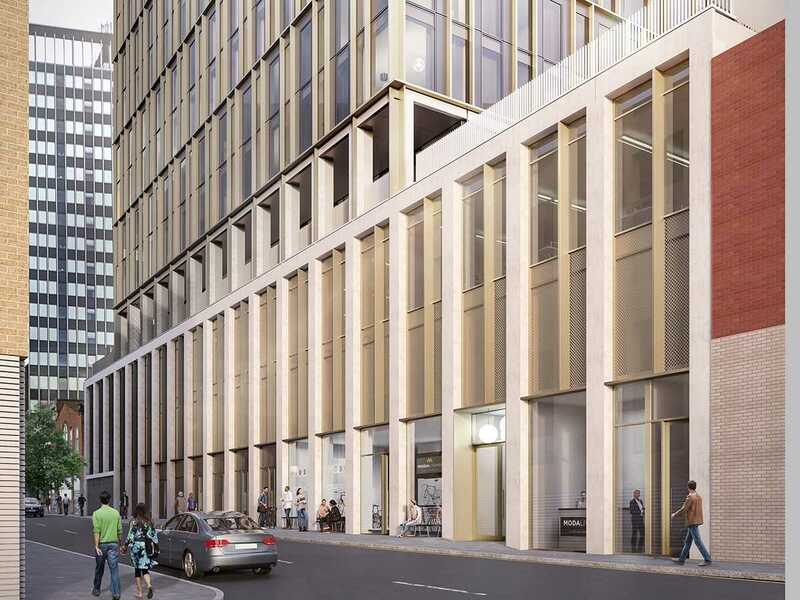 Birmingham is currently building two of the largest office buildings outside of London, one at Three Snowhill and the other at 103 Colmore Row. With HS2 inching ever closer, the city is already capitalising on its position. It has seen, and will continue to see, a number of businesses choose Birmingham over its' rivals. With this comes an influx of new professionals moving to the city, with developers already reaping the rewards and wanting to build even more offices. Away from the limelight of the City Centre, it's also interesting to note patches of derelict land scattered around the city which are now quickly being filled up by low-rise residential buildings, which densifies the city even further and which leads us one step closer to building taller. Land prices are rising significantly in certain areas of the city and the only way developers can get more 'bang for their buck' is to do one thing, build tall! The clamour for developers to begin building upwards has already begun. Broad Street, one of the largest parts of land in the city, is home to the city’s tallest ever habitable building – Bank Tower Two, a Wates development. Bank Tower Two comprises 217 one and two bed apartments with a private gym, 24-hour concierge, a residents bar and much more. It’s been designed by local architectural firm Glancy Nicholls Architects. 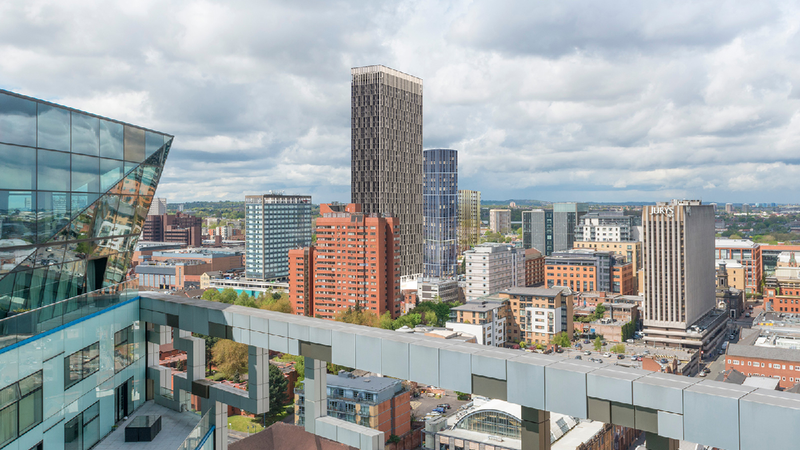 Bank Tower Two reaches 33 storeys (102 metres) and sets a benchmark for city living, not just for Broad Street, but for Birmingham as a whole. Incidentally, Broad Street is earmarked for even taller builds, with one imminent and another the focus of pre-application discussions. Various sites nearby are being earmarked for redevelopment in the not too distant future. Opposite Bank Tower Two will be MODA Tower, otherwise known as '2one2 Broad Street' and is the imminent development referred to above. 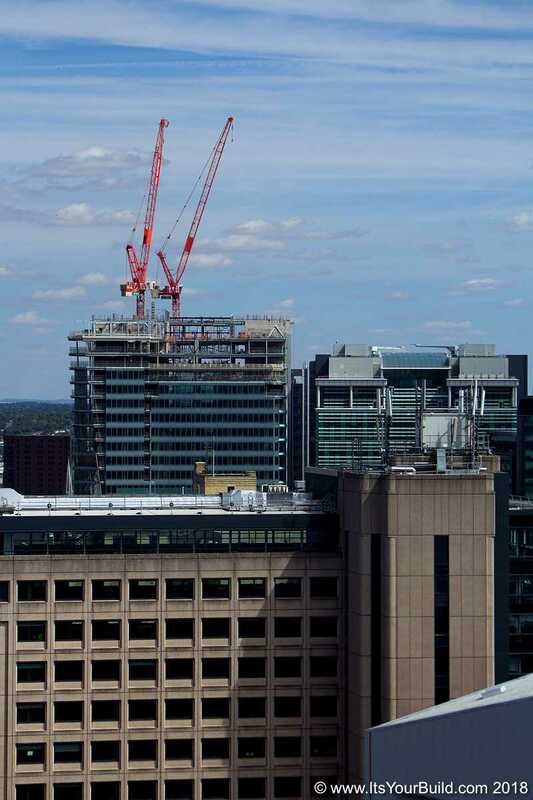 Currently undergoing groundworks, this development will reach a whopping 42 storeys (132 metres). Followers, like myself, of all things 'Tall Buildings' in Birmingham have been remarking - "You wait ages for one bus – and then two come along at the same time!" SO, WILL WE BE BUILDING EVEN TALLER THAN 42 STOREYS? In a nutshell, yes! Clearly if it is economically viable for a developer to build a mammoth building on a patch of land they’ve purchased, they will do so. OK, BUT WHERE WILL THESE BUILDS GO UP? Whispers are that we’ll see these huge builds opposite the future Curzon Street HS2 building. There appears a desire from many in positions of influence, for tall, well designed buildings. We’re already seeing prime land being bought by developers with the intention of building 'big'. Nikal have Phase 2 of Exchange Square up their sleeve. There is also Berkeley Group's much anticipated 37 storey building proposed for Eastside Locks, with an application due shortly. Then there's Court Collaboration, a local group, hoping to shatter all records themselves by reaching for the skies. 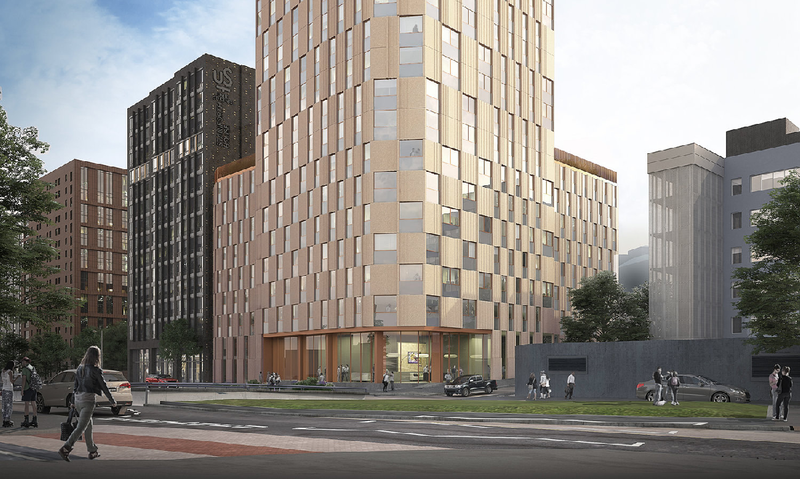 Backed by huge investment from overseas, there are rumours of a 46 storey building from Court Collaboration on James Watt Queensway, with a planning application due shortly. In the meantime, the development pipeline for Birmingham looks as healthy as ever. If you'd like to know more about our Community of Passion at ItsYourBuild and would like to sponsor a passion, contribute to our community or follow everything construction, then connect HERE or call us at FreeTimePays on 0121 410 5520.